I am closer to one of my #40before40 goals way before 40. I have wanted to go camping again since the last time I went. Hmmm, let's see that was almost 27 years ago. My brother was a boys scout then and I tagged along with him and my Dad. My dad thought it was just as important for a girl to learn basic survival skills just as much as a boy. Thanks, Daddy for making everything Equal Opportunity for me!! I loved it. I loved the idea of sleeping outside, making fires, and squatting at mosquitoes. Going camping now close to my 40s has an entirely different meaning for me. There are several reasons why now in my adulthood I want to scratch this goal off before 40. One, I highly value the the precious time of unplugging and spending an entire weekend with my family in nature. Nature has a divine way of resetting and recharging your soul. The world and daily life is so fast paced, chaotic and full of distractions. Spending the time in nature with no television, poor internet service, and the peaceful sound of nothing allows you to live in the present moment. I have the role of Chief Coordinator of organizing the camping trip including but not limited to finding the campsite, tent, food and making sure we have plenty to bring on site, things for the kids to do so they won't worry me crazy about boredom. I decided on Meeman-Shelby Forest State Park. It's close to the city maybe 10 minutes outside of Memphis. I initially thought of going over to Arkansas but quickly changed my mind. I began reading too many camping horror stories and thought about if anything should happen we are too far away from home. No not going to be able to sacrifice my sanity for a few extra miles. The park campground has 49 campsites, each equipped with table, grill, electrical and water hookups. A modern bathhouse provides hot showers. The park offers activities focused on the nature and beauty of the park. The Nature Center on the campsite includes exhibits that includes live snakes, turtles, salamanders, fish aquariums, stuffed animal exhibit, indoor live butterfly garden (open seasonally), bone table, insect table and a Native American exhibit. 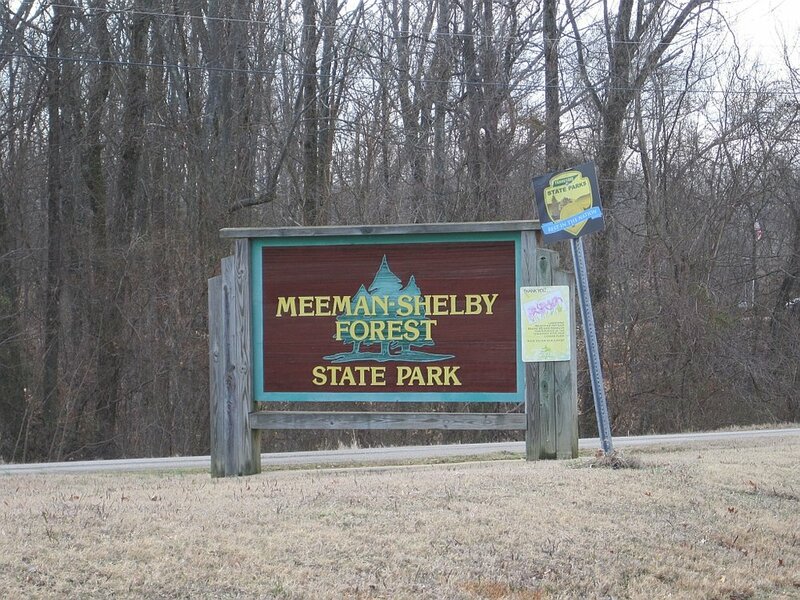 Meeman-Shelby Forest offers more than 20 miles of hiking trails that wind throughout the park. So we have more to offer the kids than just laying out in the tent for the weekend. LETTUCE PRAY EVERYTHING GOES WELL. Now, have any of you gone camping before? What should we bring?